“Decorative Title Page to the  Milner and Sowerby "Wide, Wide World Library" Reprint Depicting Ellen Saying Goodbye to Mamma,” Wide, Wide World Digital Edition, accessed April 22, 2019, http://widewideworlddigitaledition.siue.edu/items/show/2147. Wetherell, Elizabeth [Susan Warner]. The Wide, Wide World. 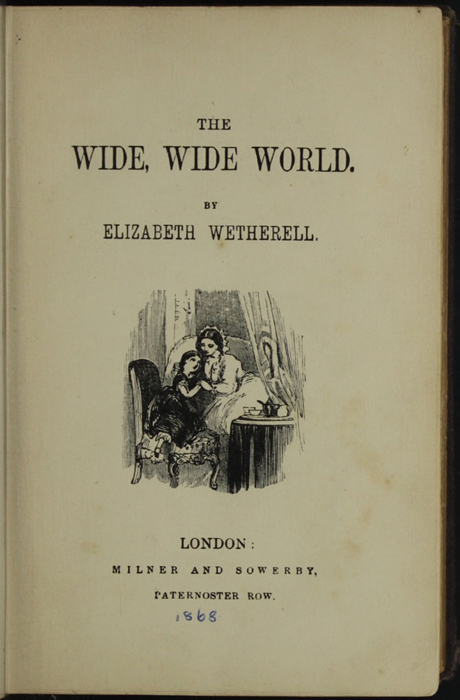 Reprint, The Wide, Wide World Library, London: Milner & Sowerby, .